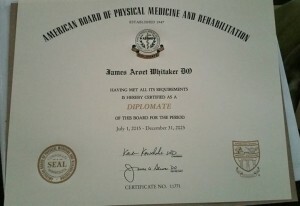 We are proud to announce that Dr Whitaker is officially a board certified physiatrist. He has received official notice that he passed Part II of the American Physical Medicine and Rehabilitation Board Exam. If you see him, tell him congratulations! 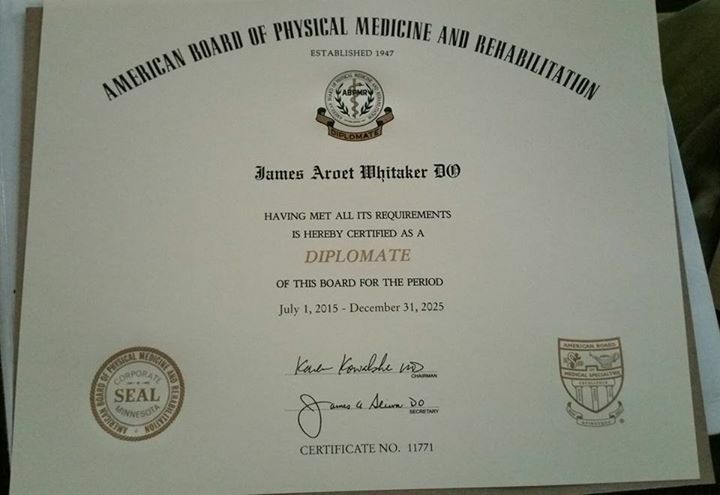 Dr Whitaker is an Osteopathic Physician officially certified by the American Academy of Physical Medicine and Rehabilitation as a Physiatrist. Posted in Dr Whitaker, Osteopath.